Aaron ‘tenderlove’ Patterson looks at the properties of Ruby’s object storage system, why all object IDs are divisible by 40, and how ‘special’ objects like integers fill in the gaps. ROM is a persistence and mapping toolkit built for speed and simplicity. ROM 3 includes the first stable versions of rom-sql 1.0.0 and rom-repository 1.0.0. Execute SQL queries on your database from a web panel and visualize the data in a convenient and clear way with charts and saved queries. An adapter that lets you alter tables from standard Rails migrations without any downtime or blocking. 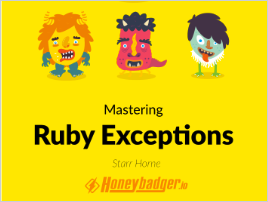 The hash table improvements that arrived in 2.4 explained and contrasted with previous versions of Ruby. Can turn any ActiveRecord relation or PORO into an XLSX, ODS, or CSV spreadsheet. The project has matured over the past year and just switched from GPL to MIT. Shameless is a gem that abstracts sharding and schemaless access to MySQL. Having written a “call-me-later” class for a specific use case, this post generalizes it for any need. self is fundamental to understanding Ruby. Or To thine Ruby’s ‘self’, be true. One database per tenant vs one group of tables per tenant vs a shared schema for tenants. Automatic Ruby error monitoring helps you prioritize and fix critical bugs and improve your user’s experience. Can fully inform on object method calls and parameters as well as instance variables before and after. ClojureScript is a Clojure to JS compiler, well suited for functional programming. A collection of libraries that offer a fluid interface to creating command line clients. Use Markdown, Sass, Slim, etc. Add JSON, YAML or TOML data files and render it all to HTML.